DRAKESBORO – Herman "Danny" Knight, 61 of Drakesboro, died Sunday, October 28, 2012 at his residence. He was born February 4, 1951 in Muhlenberg County, was a retired coal miner and a member of the Belton Beechmont General Baptist Church. He is preceded in death by his parents, Herman L. and Margurite Knight and a brother, Steve Knight. Survivors include his wife, Kathy Knight of Drakesboro, four sons, Danny(Melody)Knight, Joe D. Knight and Mitchell Knight all of Drakesboro and Brian(Christine)Knight of Dunmor, four daughters, Rita Knight of Bremen, Michelle Knight of Kuttawa, Whitney Knight of Greenville and Kaitlyn Knight of Drakesboro, fifteen grandchildren and two great grandchildren, a sister, Debbie(David)Sheeks of Lexington. 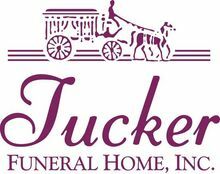 Funeral services will be held at 2:00 PM, Tuesday, October 30, 2012 at Tucker Funeral Home in Central City, conducted by Rev. Bobby Allen with burial to follow in the Union Chapel Cemetery in Drakesboro. Visitation will be after 6:00 PM Monday and after 8:00 AM Tuesday at the funeral home. The beautiful and interactive Eternal Tribute tells Herman 's life story the way it deserves to be told in words, pictures and video. I love an miss you daddy. Kathy thank you so very much for being with Dan during this illness. Never leaving his side, seeing the love you both shared, the strength, courage, and caring you had brought great comfort to me. You will always be in my thoughts and prayers during the difficult times ahead. I love you and I'm so thankful Dan was blessed with you as his wife. Michelle, Danny Lynn, and Rita Faye my thoughts and prayers are with you too during this difficult time. I know Dan found great comfort in knowing you were there for him as well. He may not have often told you he loved you but I do know in his heart he loved you. Dan loved all his kids, grand kids, and great grand kids. Dan will be greatly missed by us all. I never thought I would lose my big brother but people tell me God has a plan for us all. My heart doesn't understand and I may never know the answer so until then I will live with the memories of good times we shared and be thankful for the time we had together as a family. I know he is in a much better place now with no pain and suffering in which I find comfort. In my heart I know Dan was ready to go home but I guess just like with Steve I never wanted to let go of him. I pray that we all we find peace and comfort in our love of him and his life will live on through us and the many memories God has blessed us with during his life time. RIP Dan (my big brother). "Love never dies"
Been many years since seen Danny. Sorry for your lose. At a time like this no words can help with the suffering and grief! Just recall all those loving and fun memories you have of Danny. May God bless and be with all concerned. in my prayers. My prayers are with the family during this most difficult time. RIP Danny Knight. To all of the family my heart felt sympathy May God comfort all of you as only he can. Michelle, I am so sorry for the loss of your Daddy. Please know we are praying for you and your family during this difficult time.